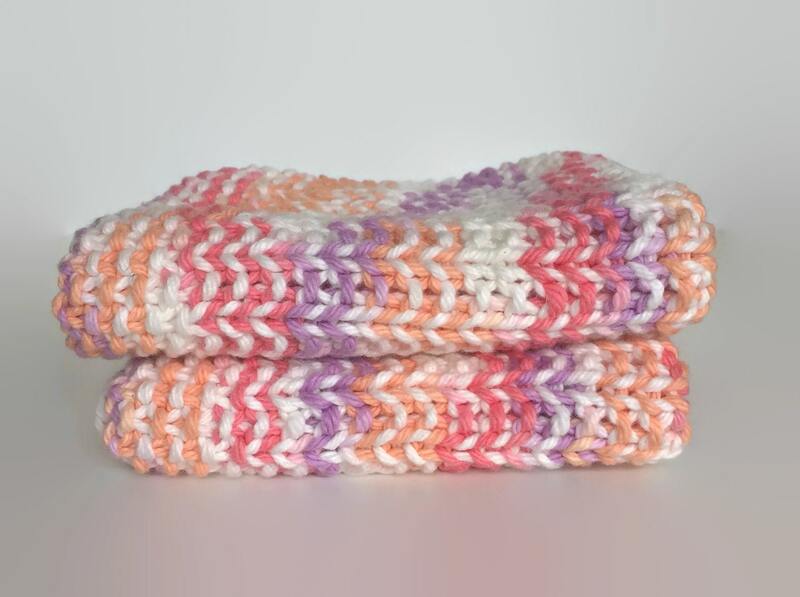 This listing is for 1, knit washcloth. 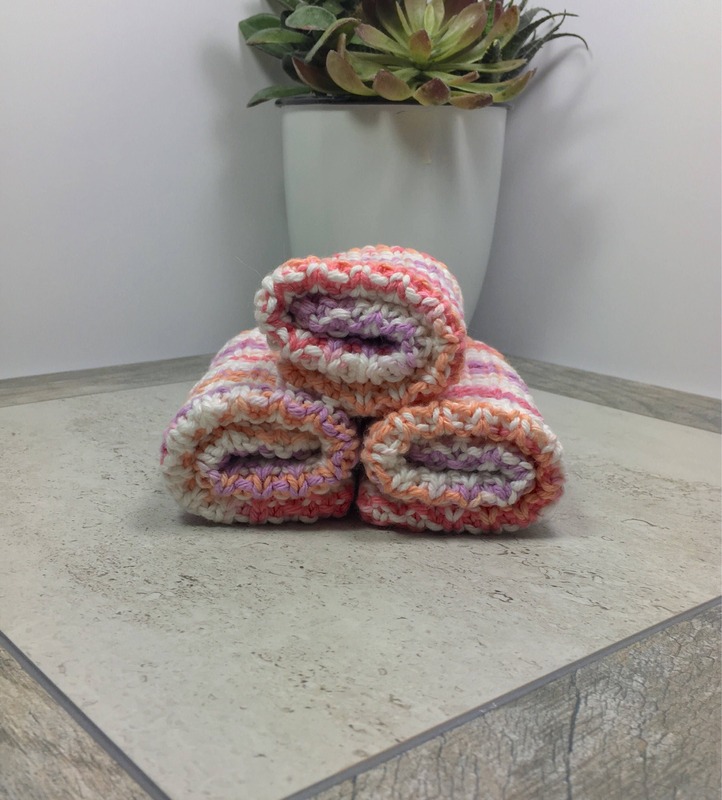 Hand knit with 100% cotton yarn in a fresh and bright blend of pink, purple, soft orange and white. 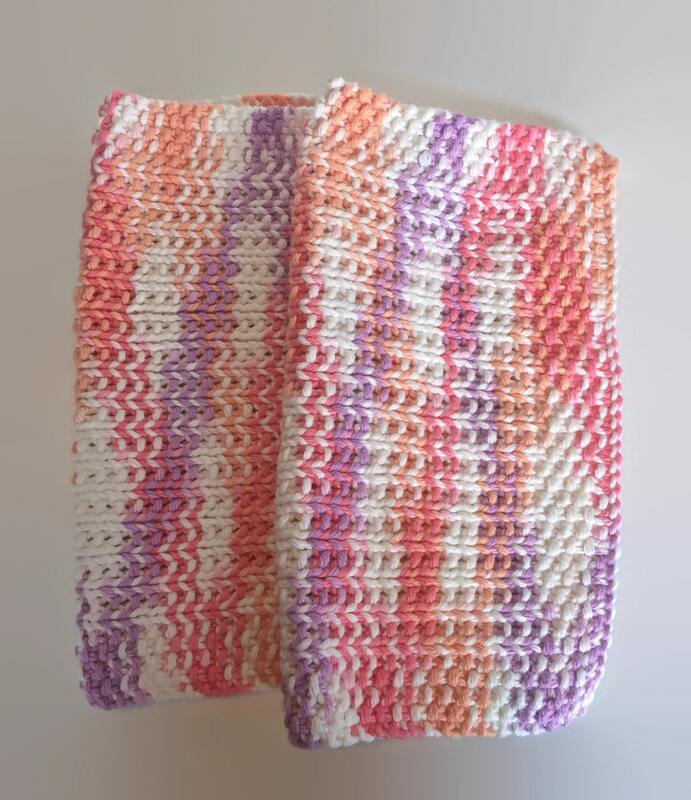 Can be used as a washcloth or dishcloth. 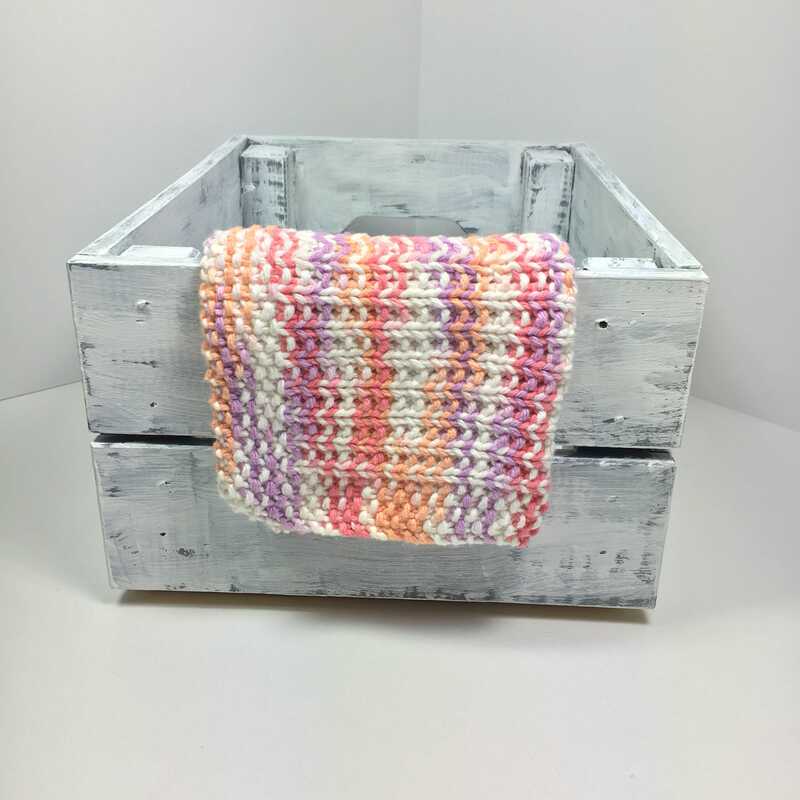 This is an oversized washcloth, measuring approximately 9x9 inches (23 cm) and has a great texture all over and on both sides. This piece is ready to ship, as are all pieces in my shop. I offer combined shipping, shipping costs will automatically adjust at checkout. All parcels will be shipped insured and a tracking number provided at time of shipment. I offer free local pickup, enter coupon code LOCAL1 at checkout and contact me to make arrangements for pickup. This washcloth is very thick, soft and absorbent and makes an excellent addition to your daily skin care routine. Gently exfoliating but never scratchy, it will get even softer with more use. 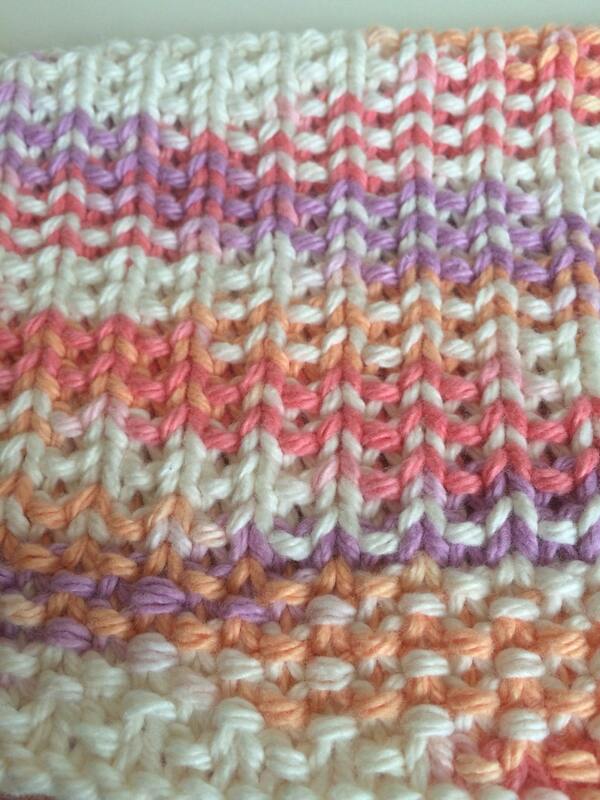 Perfect washcloth for every member of your family and it's gentle enough for babies. 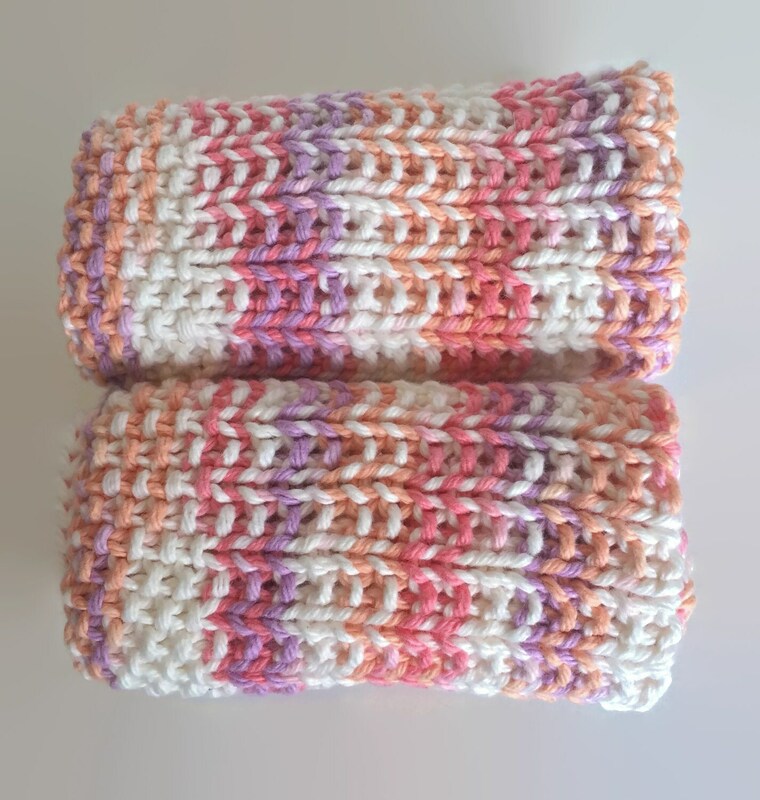 Perfect hostess gift, housewarming gift, baby shower gift, thank you gift, stocking stuffer, breast feeding cloth, treat for yourself and are a great addition to any gift basket full of spa or Eco friendly products. This is a very durable product and lasts for years. 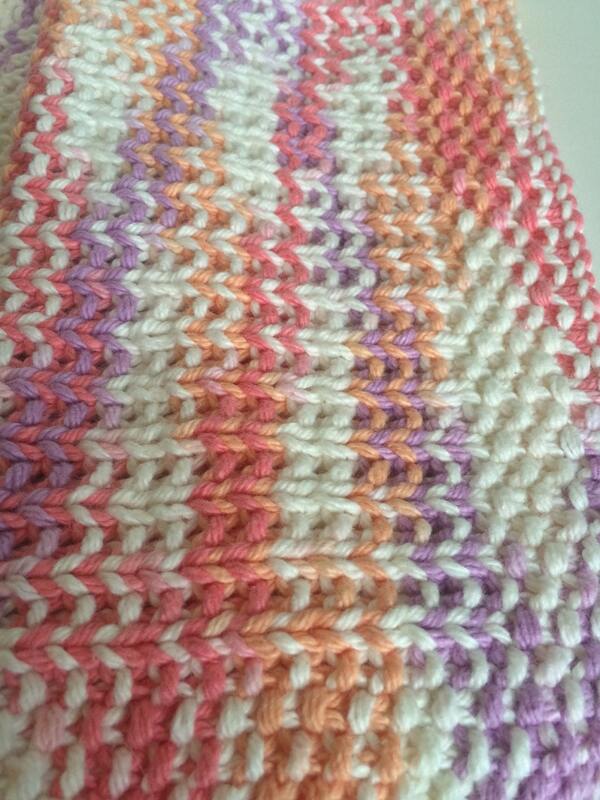 Can be machine washed and dried with other like colours. 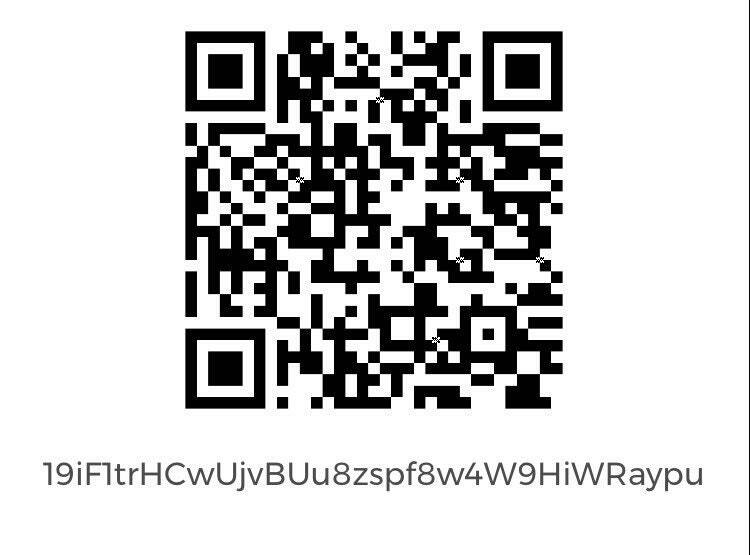 Please read my shop policies prior to purchasing.